I was very impressed with the standard of weaving I found when I visited the Houey Hong Vocational Training Centre for Women. I was particularly pleased to find so many sinh being woven with integrated borders (tiin). 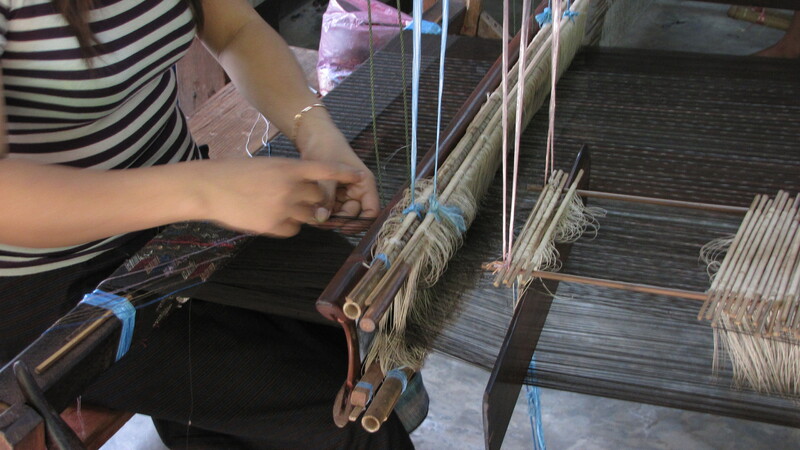 Two weavers in particular displayed a high level of mastery by combining different patterning in the body and the border areas. 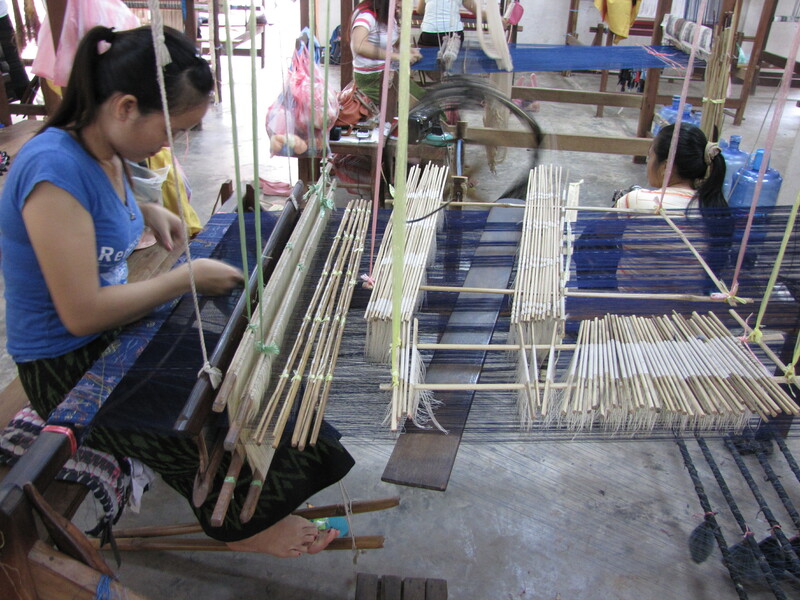 Nearby, a sinh was being woven with mat mii (ikat) in the body and chok to create the border pattern. In every row, she needed to line up the design pre-dyed in the weft threads, and then work the supplementary weft pattern threads. They prefer to engage in more modern pursuits, such as piecework at a clothing factory, even if the pay and hours are less favourable and they have less flexibility to study or care for children. I admire the work she continues to do in training those few who do wish to keep their heritage alive. 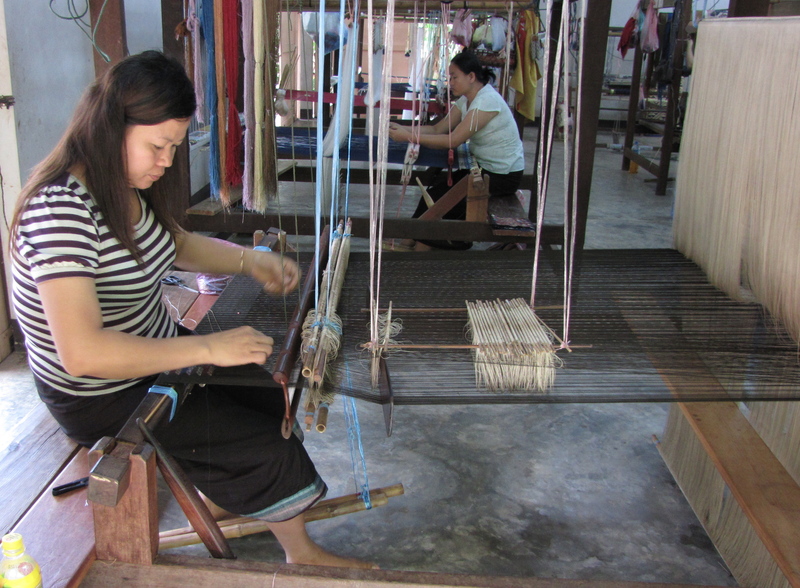 This entry was posted in Lao Techniques, Laos and tagged Asia, chok, ethnic, handweaving, ikat, Laos, loom, mat-mii, mudmee, sinh, technique, Textile, traditional, weaving by Wendy Garrity. Bookmark the permalink.